American Water Spaniel (AWS) is primarily a working gun dog that is seldom seen in the show ring. 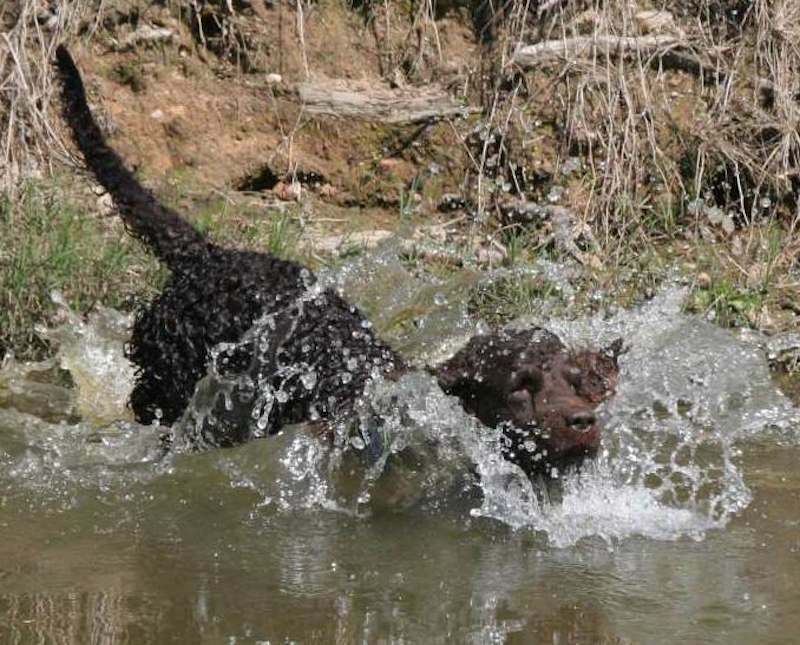 There’s good evidence to suggest that the American Water Spaniel and the Boykin Spaniel, which takes its name from the town of Boykin, South Carolina, are the same breed. 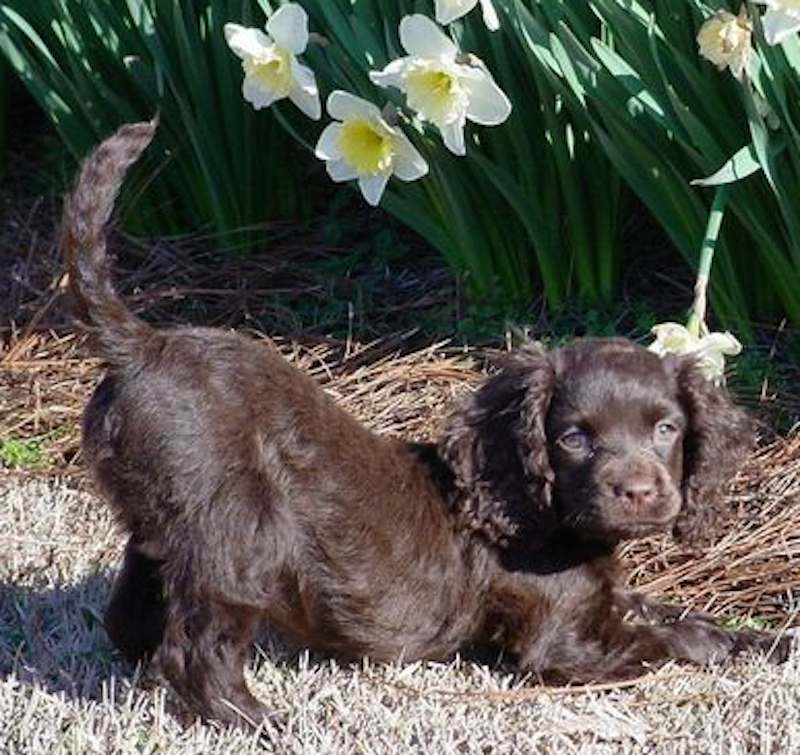 But while the Boykin has been known in the southern states since before the Civil War (1861-65), the American Water Spaniel was mainly developed in the midwest. Type was set by 1900 but it wasn’t until 1938 that a club was formed and a standard drawn up. 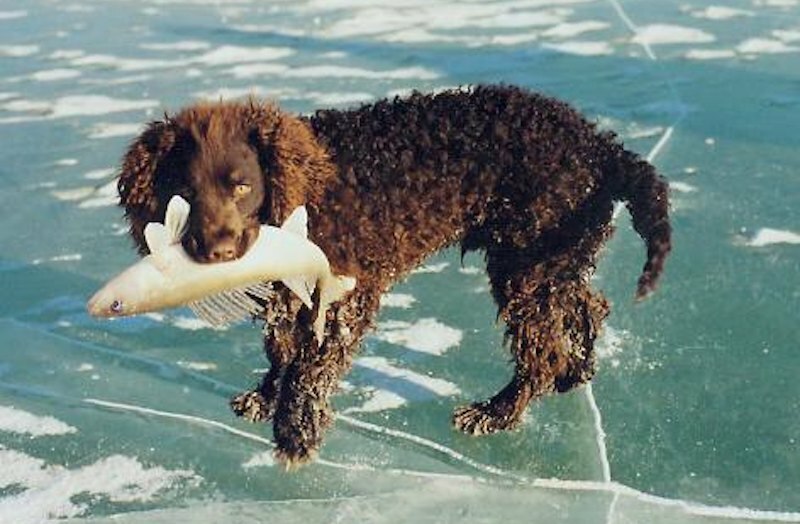 Though there are no records to confirm the breed’s beginnings, it has been suggested that its ancestors may have included the Irish Water Spaniel as well as the Curly-coated Retriever, old English Water Spaniel and American Cocker Spaniel. 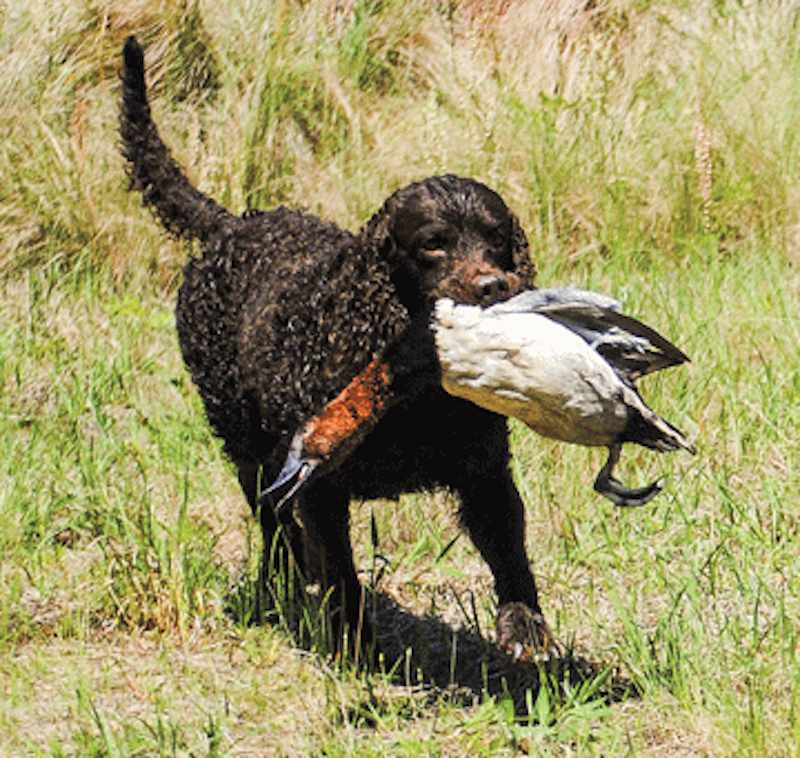 An all-around shooting dog, the American Water Spaniel is an efficient retriever of upland game, while his small size and protective colouring make him valuable for duck hunting. He’s physically and mentally tough enough to take on the frigid waters of the Great Lakes and small enough to launch himself out of a boat or clamber back in without swamping it. 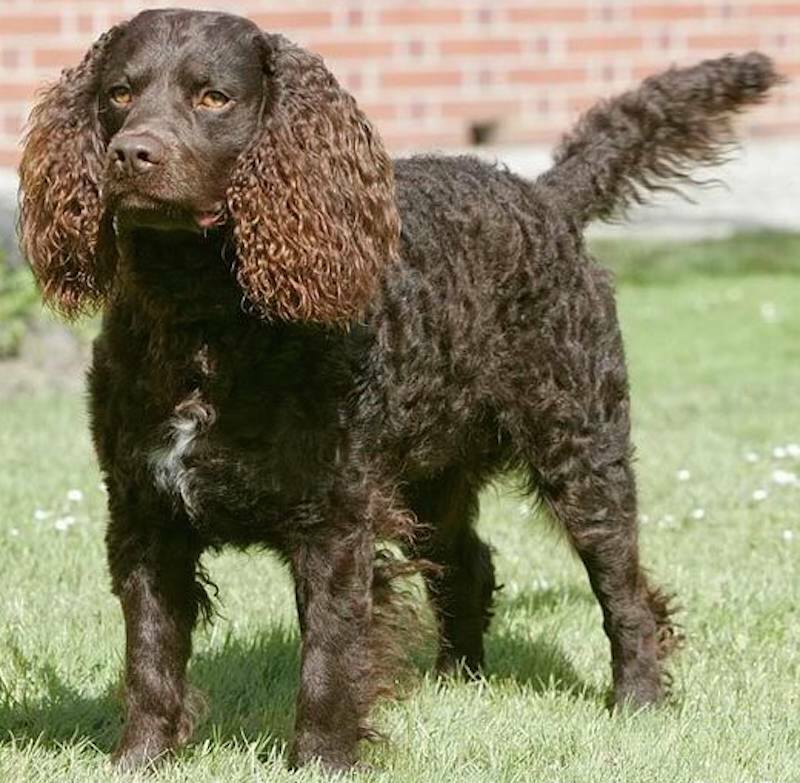 General Appearance: Medium in size, of sturdy typical Spaniel character, curly coat; an active muscular dog, with emphasis placed on proper size and conformation, correct head properties, texture of coat and colour. American Water Spaniel Temperament: Of amicable disposition; demeanor indicates intelligence, strength, and endurance. Size: Height: 15-18 inches (38-46 cm) at the shoulder. Weight: Males, 28-45 lb. (13-20 kg); Females, 25-40 lb. (11-18 kg). Coat and Color: The coat should be closely curled or have marcel effect and should be of sufficient density to be of protection against weather, water, or punishing cover, yet not coarse. Legs should have medium-short, curly feather. Colour solid liver or dark chocolate, a little white on toes or chest permissible. Head: Moderate in length, skull rather broad and full, stop moderately defined, but not too pronounced. Forehead covered with short smooth hair and without tuft or topknot. Muzzle of medium length, square and with no inclination to snipiness. Jaws strong and of good length, and neither undershot nor overshot. Teeth straight and well shaped. Nose sufficiently wide and with well-developed nostrils to ensure good scenting power. Eyes hazel, brown or of dark tone to harmonize with coat; set well apart. Expression alert, attractive, intelligent. Ears lobular, long and wide, not set too high on head, but slightly above the eyeline. Leather extending to end of nose and well covered with close curls. Neck: Round and of medium length, strong and muscular, free of throatiness, set to carry head with dignity, but arch not accentuated. Forequarters: Shoulders sloping, clean, and muscular. Legs of medium length and well boned, but not so short as to handicap for field work. Forelegs powerful and reasonably straight. Body: Well developed, sturdily constructed but not too compactly coupled. General outline is a symmetrical relationship of parts. Well-sprung ribs. Strong loins, lightly arched; and well-furnished deep brisket but not excessively broad. Hindquarters: Hind legs firm with suitably bent stifles and strong hocks well let down. Feet to harmonize with size of dog. Toes closely grouped and well padded. Tail: Moderate in length, curved in a slightly rocker shape, carried slightly below level of back; tapered and covered with hair to tip, action lively. Faults: Coat too straight, soft, fine, or tightly kinked. Very flat skull, narrow across the top, long slender or snipey muzzle. Cow-hocks. Rat or shaved tail.